Type and Characteristics - Patrol gunboat, Gunboat No.11, later PG-11, Annapolis-class, built by Bath Iron Works, Bath, ME, laid down March 1896, launched 5 December 1896, commissioned at Portsmouth Navy Yard, NH, 23 October 1897, 1,010 tons, 204ft long x 36ft beam x 12ft 9in beam, 12kts, armed with 6-4in, 4-6pdr rifled, 2-1pdr rifled guns and 1 Colt machine gun 143 crew. 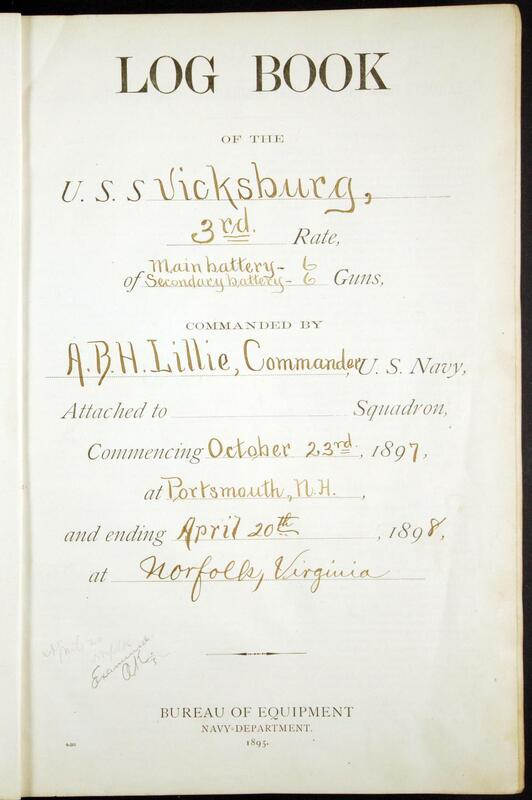 First commanded by Cdr A B H Lillie. 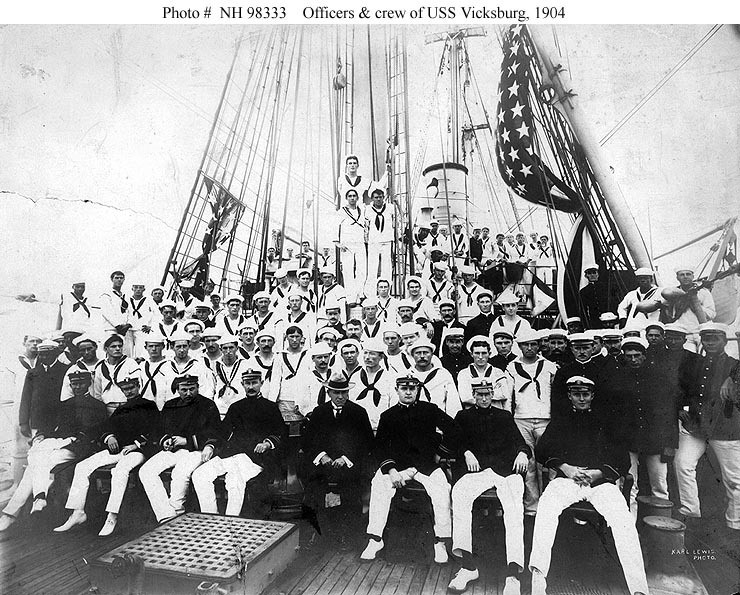 Log Period and Areas of Service - 1897-1944 (including later Coast Guard service), Caribbean, 1898 Cuban patrols (Spanish-American War), Asiatic Squadron, Philippines, Far Eastern waters, Pacific coast of Central America. 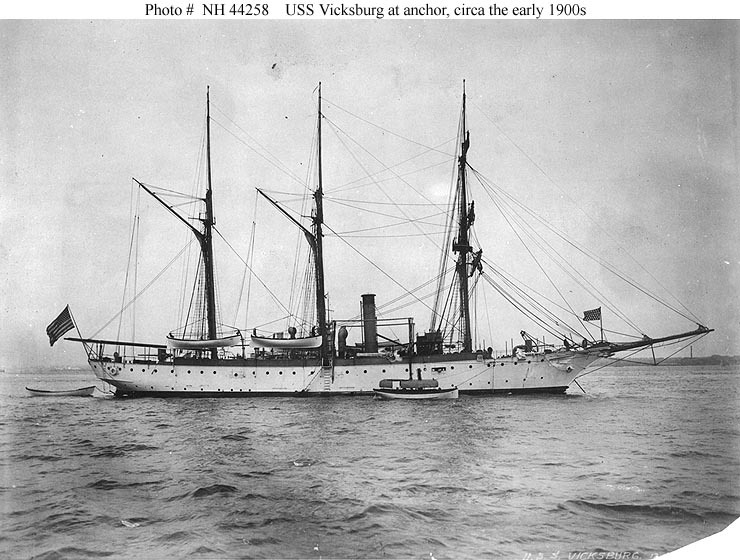 1898 – After two months in the Caribbean, returned to Norfolk, VA, and on outbreak of 1898 Spanish-American War, took part in blockade of Cuba, capturing three small blockade-runners. 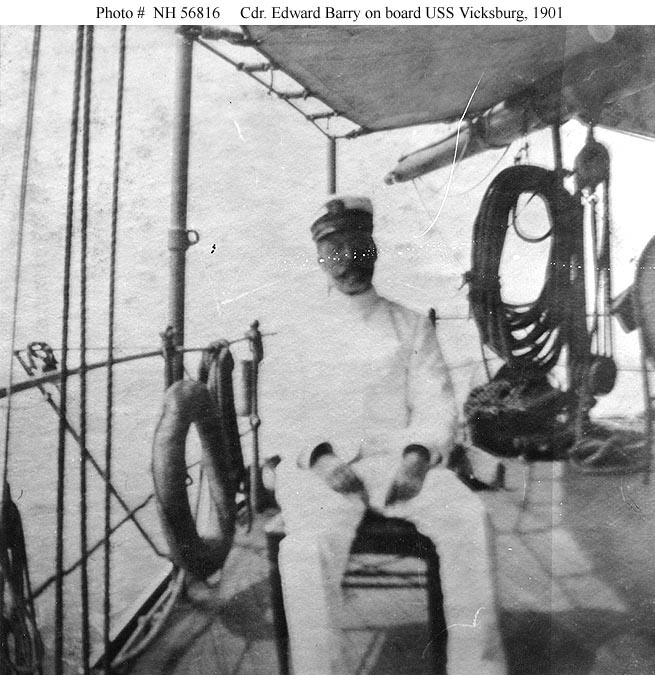 1898-99 – Continued patrol duties along East coast and in Caribbean. Decommissioned at Boston. 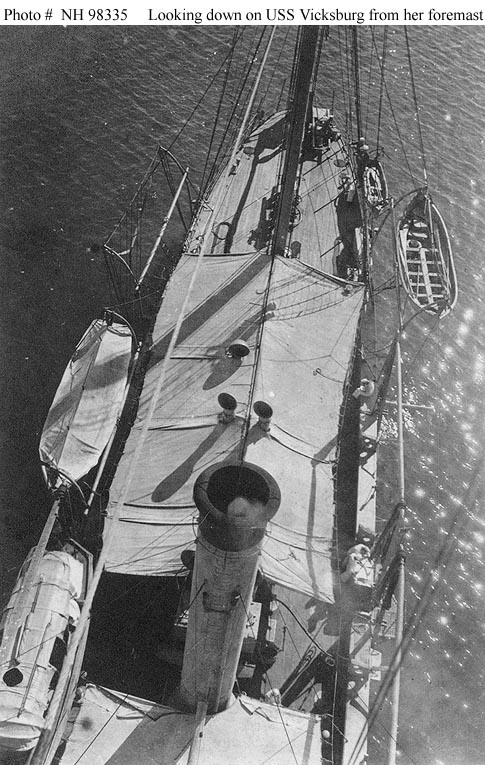 1900-04 – Recommissioned and spent six months in the Atlantic, before sailing for Asiatic Station via Suez Canal. Off the Philippines in 1901 supporting Army operations against the guerrillas. In Chinese, Japanese and Korean waters 1902-04, including protecting American interests at the end of the Russo-Japanese war. Returned to US and decommissioned at Mare Island. 1904-09 – Out of commission. 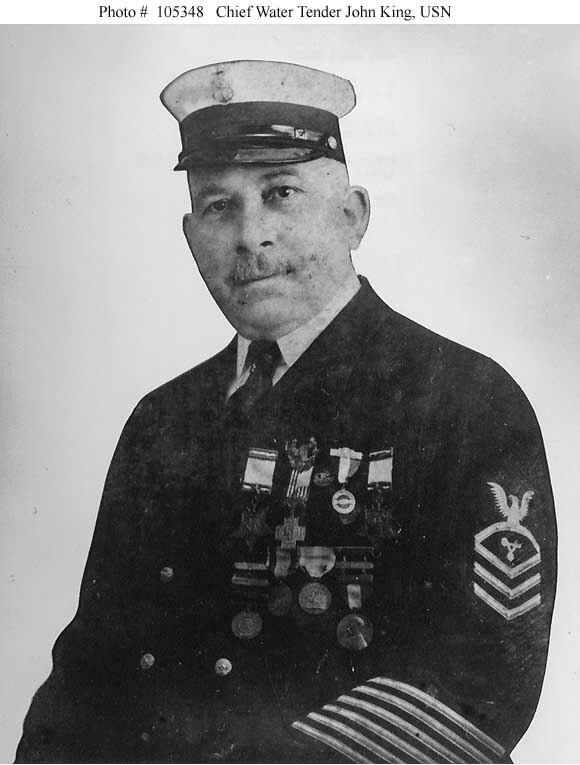 1909-12 – Patrol duties off Pacific coast of Central America, again protecting American interests in the "revolution-prone" nations in the area, including Mexico, Honduras, El Salvador, Guatemala, Panama and above all Nicaragua. 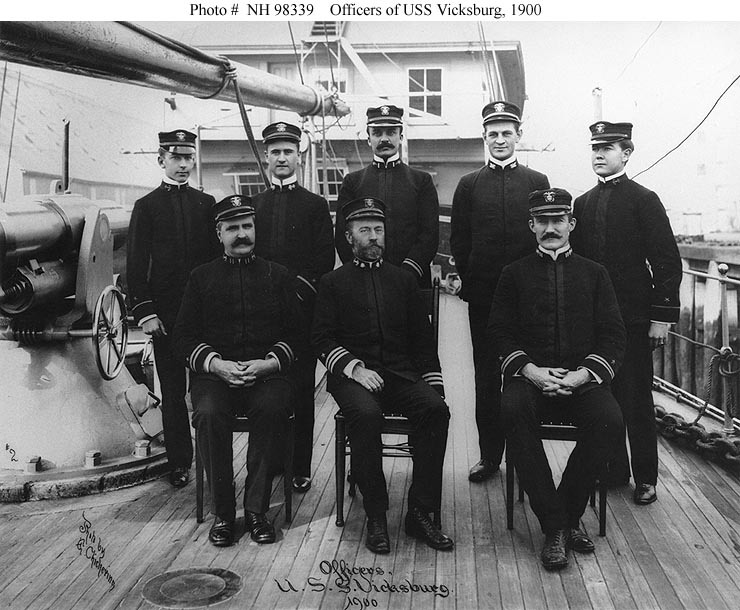 Concluded 1912 with patrols off California and again to Mexico before returning to San Diego. 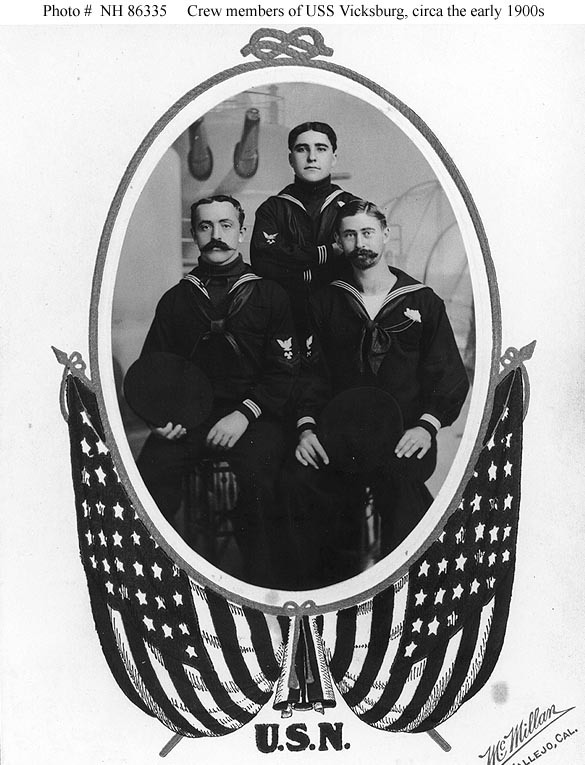 1913-17 – Following repairs, served with Washington State Naval Militia, broken in May/June 1914 when placed back in commission for cruise to Mexico. 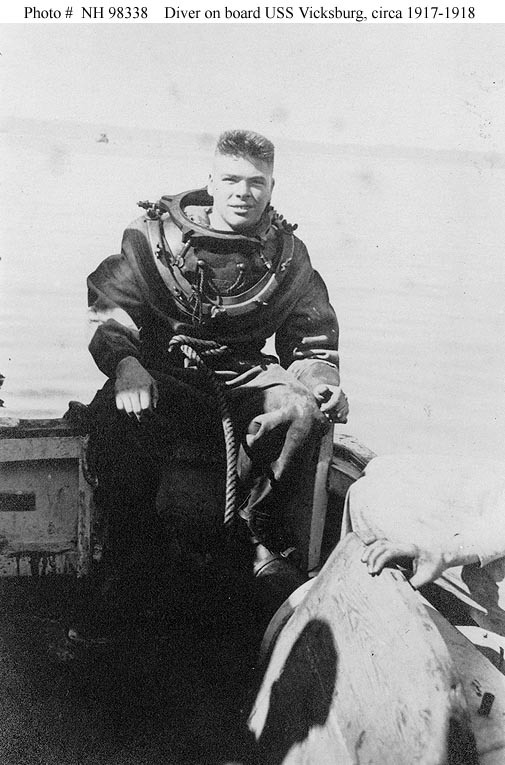 1917-19 – On outbreak of war, again placed back in full commission, patrolling Pacific coasts of the US and Mexico. 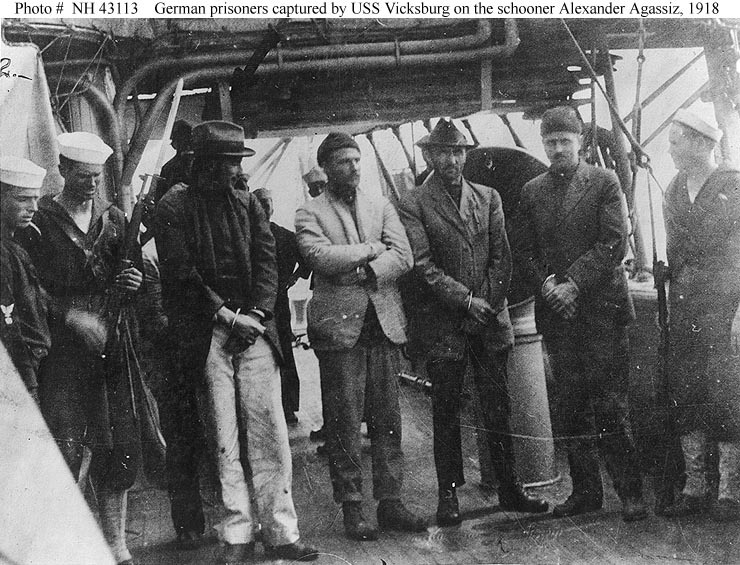 17 March 1918 – Captured schooner Alexander Agassiz off Mexico carrying German nationals. 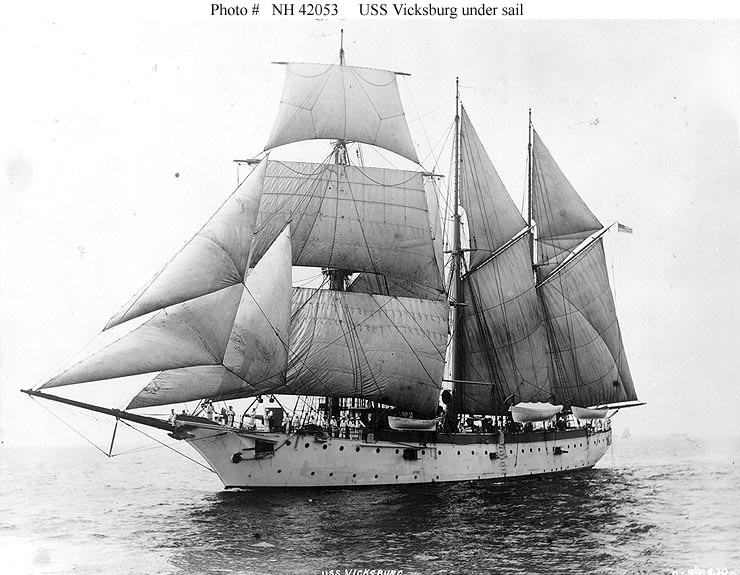 1919-21 - Transferred to the Washington State Nautical School as a training ship. 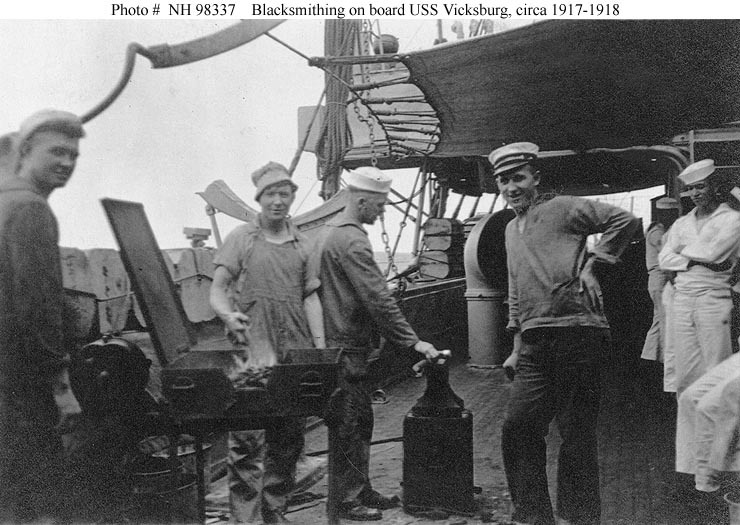 During this period, numbered PG-11 as part of the Navy's introduction of alphanumeric hull designations. 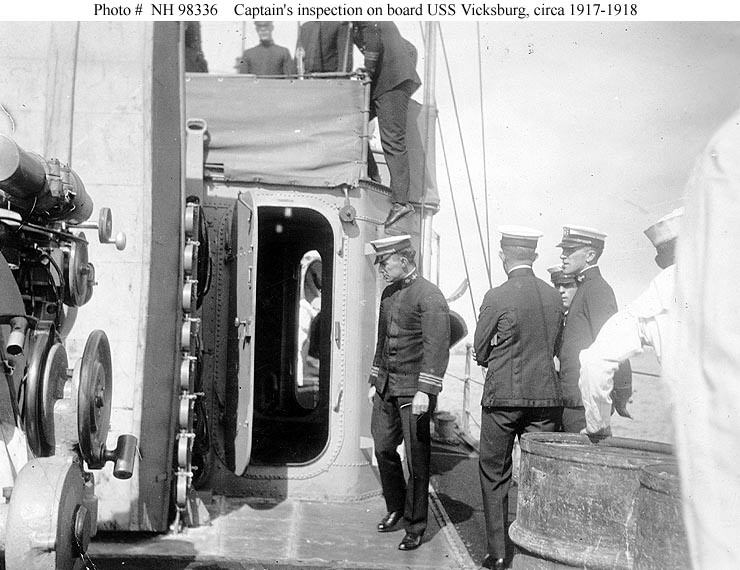 1921-30 - Transferred to US Coast Guard and in 1922 renamed Alexander Hamilton. 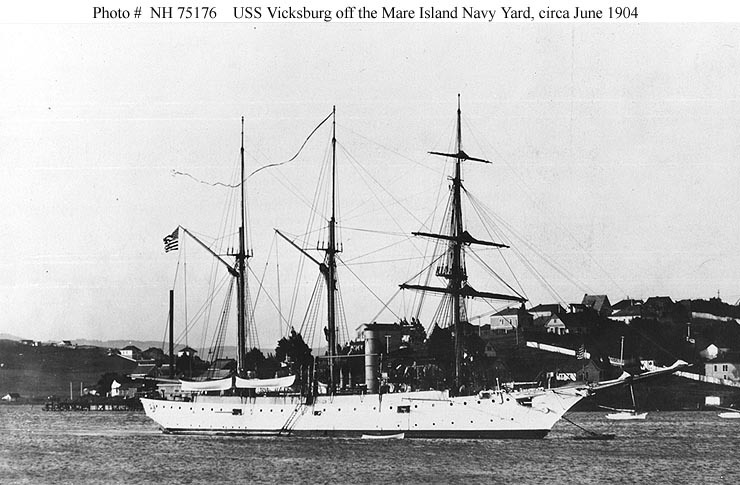 Served as a training ship at the USCG Academy until 1930, then decommissioned, stripped and towed to Curtis Bay, MD depot as station ship. 1930-40 - Continued duties at Curtis Bay, sometime between 1935 and 1936, renamed Beta, and by 1940, reassigned to New London, CT as station ship. 1940-44 - Towed back to Curtis Bay in 1942 as training hulk for machinist's mates and water tenders. Fate - Placed out of service December 1944. Hulk transferred to War Shipping Administration in March 1946 for disposition, and presumably scrapped.